Captain Rick: I began regular posts to my WordPress blog ATRIDIM NEWS JOURNAL about 4 months ago. 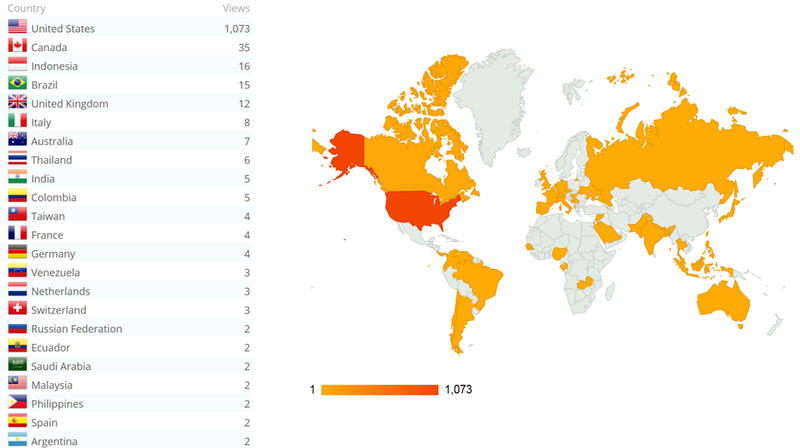 I am honored to view the stats of people around the world who have viewed my blog during the past 90 days, as shown in the WordPress stat image below. WordPress stat data capabilities boggle my mind. I know some of you from photography friendships molded during the early days on Webshots and later on Flickr. I sincerely appreciate your friendship and look forward building more friendships among those I do not yet know from the countries shown below. Our world is a huge place, but thanks to the internet and great social networks like WordPress, Flickr and Facebook, our friends on the other side of the globe are all just a very short distance away. 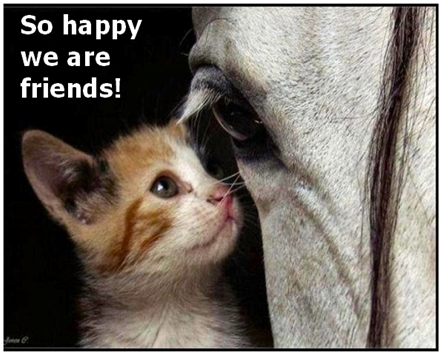 Pet Talk: So happy we are friends! Captain Rick: Friendship is one of the very best things we can hope for and appreciate to have. I appreciate all of my friends who read and view my blog, especially those who follow it. Take a moment to appreciate your friends.